Read the Detailed DJI Mavic 2 Pro Review Here! UPDADE 8.7.2018: We’ve got an information that the event that was planned to happen on 18 July was rescheduled to 23 August which is Thursday. But take this date with grain of salt as nothing is set in stone and DJI might move this date to September or even later depending on marketing strategy they choose for Mavic 2 Pro and Mavic 2 Zoom. So let’s look into things that we know so far as well as the model I would personally go for. 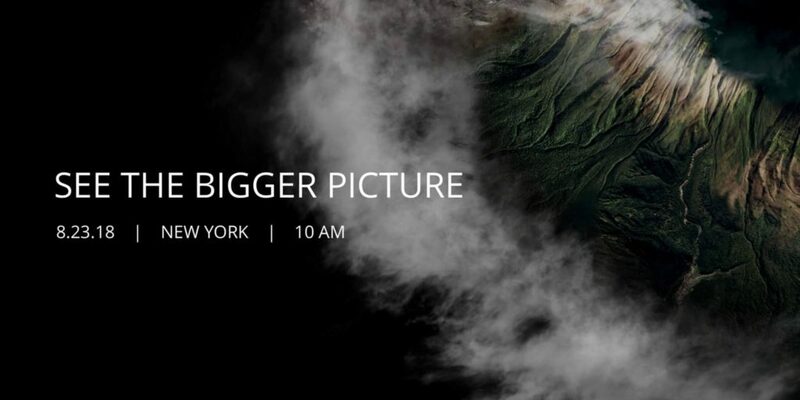 DJI will release two versions: the first one version is called the DJI Mavic 2 Pro containing a one sensor from the company Hasselblad that they acquired earlier as that is a Swedish company that is a well-known for the high-end camera so that we’re pretty interesting to see what kind of performance they get squeezed into a drone. The second one is called the DJI Mavic 2 Zoom and will offer 2x optical zoom but the sensor will be smaller. For both models the live feed has been upgraded to 1080p from previous 720p but I’m not sure how much effect this would have in real life for those of us that use the small screens. Range has been increased to 8 kilometers (5 miles). This is really not that important. I know this is a factor that many people are about but in most countries you are not allowed to fly the drone out of sight anyway. The number 8 kilometer indicates that the connection between the drone and the controller is really strong when you fly close by so this is of course a very, very positive thing and I would also assume that it uses acoustic. Max speed has been increased to 20 meters (3,2 feets) per second and this equals 72 kilometres an hour or 45 miles per hour which is pretty fast when you’re going back and forward to a location where you need to film. But in general these high speeds are not very useful for making video. Both models offers omnidirectional sensing with APIs which I would interpret at least as courage in the horizontal flying quadcopter but it would be a really nice addition if they added turns on the top as well for true omnidirectional sensing the sensor on the top which will help if you fly under trees or on the obstacles. And the return to home is initiated so you can provide a collision there that I would really love. It has a whopping 31 minutes of flight time but in reality it will be something between 26 and 28 minutes in real life. But it’s still pretty nice and pretty long time to fly on one battery. I would assume with the better camera and with the inclusion of omnidirectional sensing it opens up for array of new possibilities to do stuff. So this kind of justifies the jump in version number. 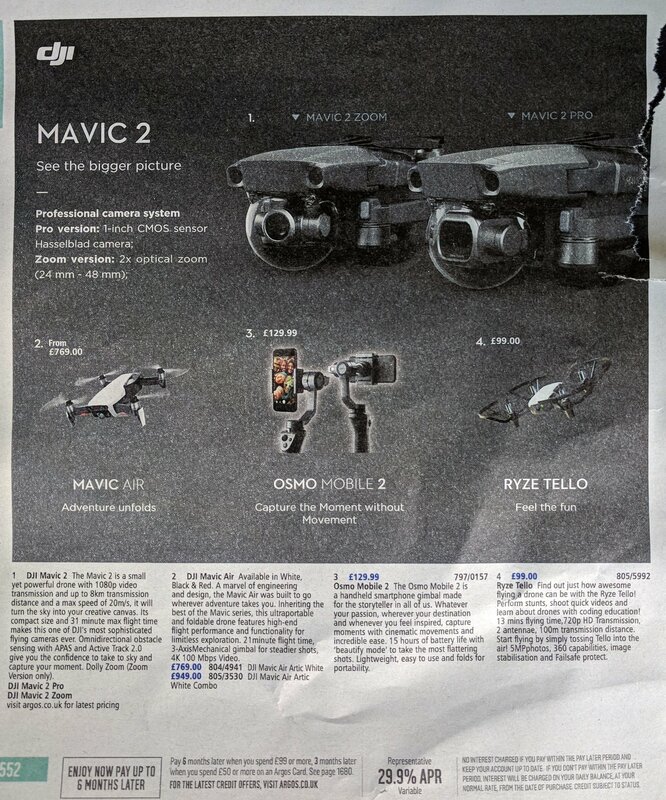 What we don’t know is what resolutions are available but I would at least hope that the Mavic 2 Pro is on par with the Phantom 4 Pro at the 20 megapixel’s camera. If that is the case we could easily see 4k up to 60 frames per second. The prices have not been announced yet but I would expect as price gap in between the Zoom version and the Pro version. My prediction is $1299-1399 for Mavic 2 Pro and $899-999 for Zoom. As for the release date there is no specific dates for the DJI Mavic 2 Pro and Mavic Zoom although they expected to be released in late summer or autumn.